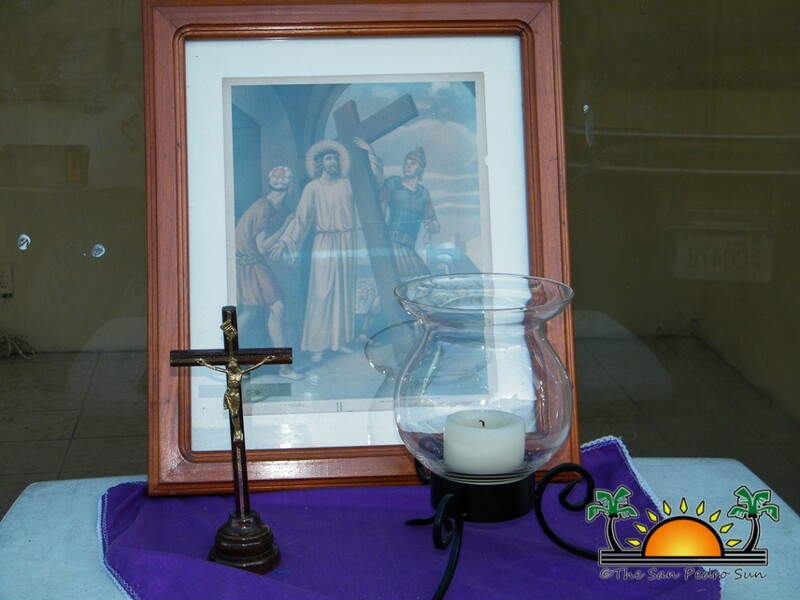 In San Pedro, Roman Catholics consider Easter the most holy time of the year.The San Pedro Roman Catholic Church had a schedule of events in place to celebrate the season, which is ushered in by the 40 day Lenten season starting on Ash Wednesday. It marks a time for preparation to receive Jesus Christ culminating on Palm Sunday when Jesus returns to Jerusalem.Symbolic palm leaves, which according to the Bible were used to welcome Jesus to the holy city, are revered by the Catholics. During Palm Sunday mass, palm leaves are blessed and given to the congregation who turn them into crosses as a token of their faith. Palm Sunday was followed by the Holy Thursday mass where the Catholic congregation participated in the “Washing of the Feet” ceremony which commemorated The Last Supper. In this ceremony the priest washes the participants’ feet, just like Jesus did to his apostles. After the “Washing of the Feet” mass the Holy Eucharist is transferred to the Parish Hall. A vigil is held at the Parish Hall until midnight, which is the time Judas betrayed Jesus at the Garden of Gethsemane, and is the beginning of Good Friday. 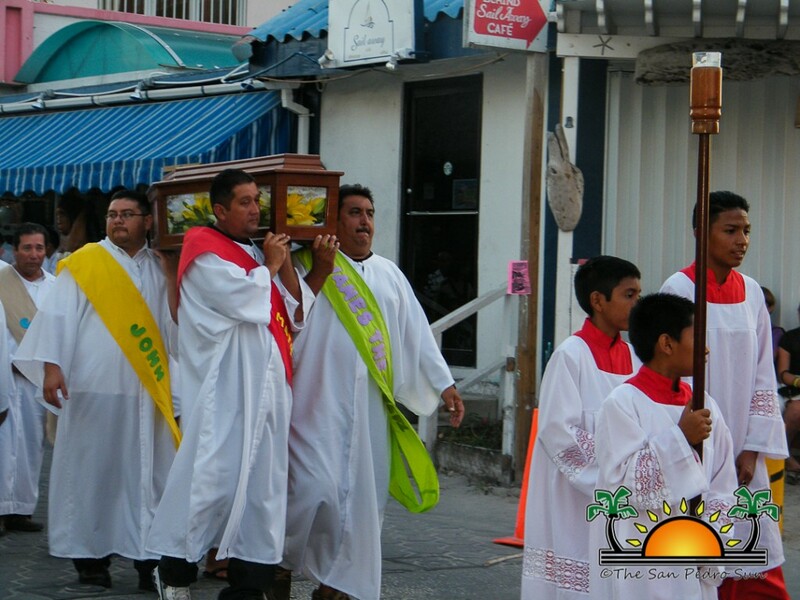 To the Roman Catholics, Good Friday is the most religious day observed in San Pedro. It is the day Christ endured suffering and death to cleanse his people’s sins. At 4AM the 14 Stations of the Cross are observed. 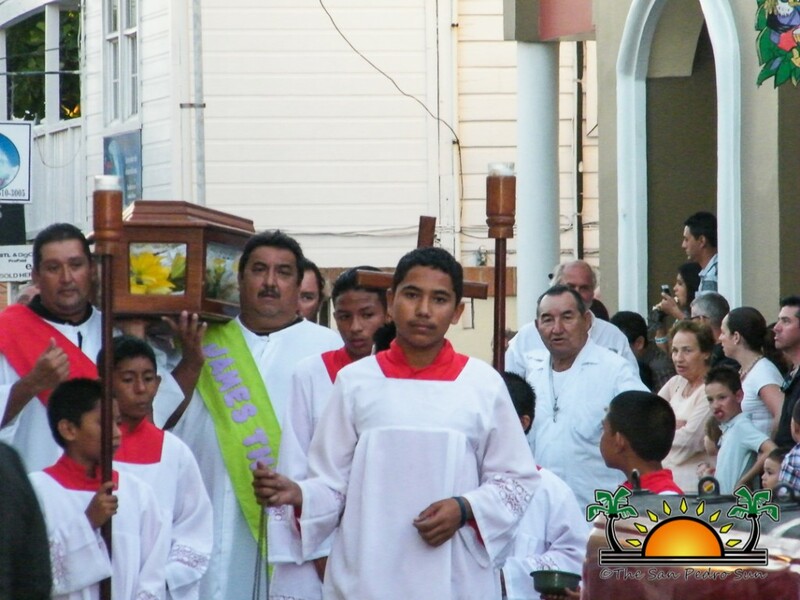 Participants walk around the town to various altars holding images depicting Jesus’s final hours of life. Families across town remain at home fasting and preparing for the religious ceremonies that take place on the afternoon. Many Good Friday beliefs include that only fish should be eaten(no meat) and children should not swim on this day since tragic event may occur. At mid-day the “Celebration of the Seven Words” commenced. The service concentrates on the seven times Jesus spoke to his followers before his death on the cross. This is followed by a mass service and the Adoration of the Cross. 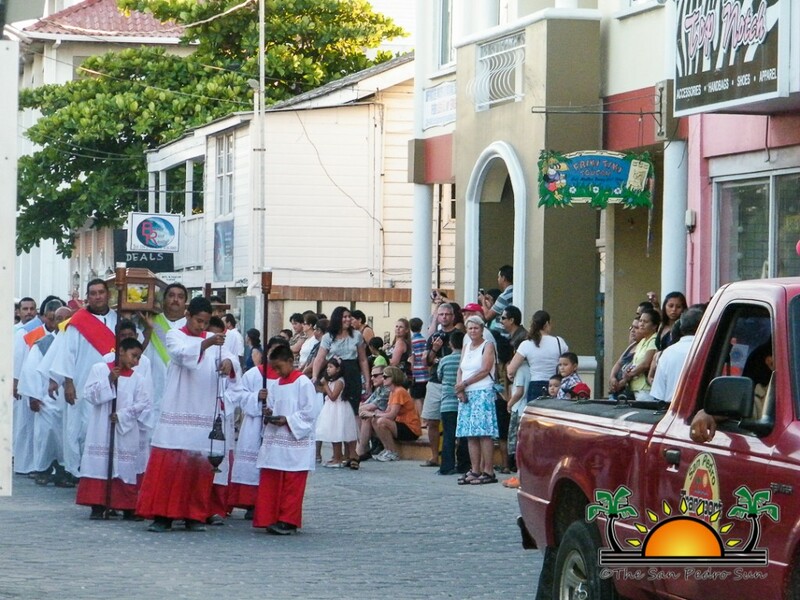 At around 5PM a group of Catholics congregate in front of the church to prepare for the Holy Procession (El Santo Entiero). A casket symbolizing the body of Jesus Christ is carried by the men, while the women carry the statue of The Virgin Mary. 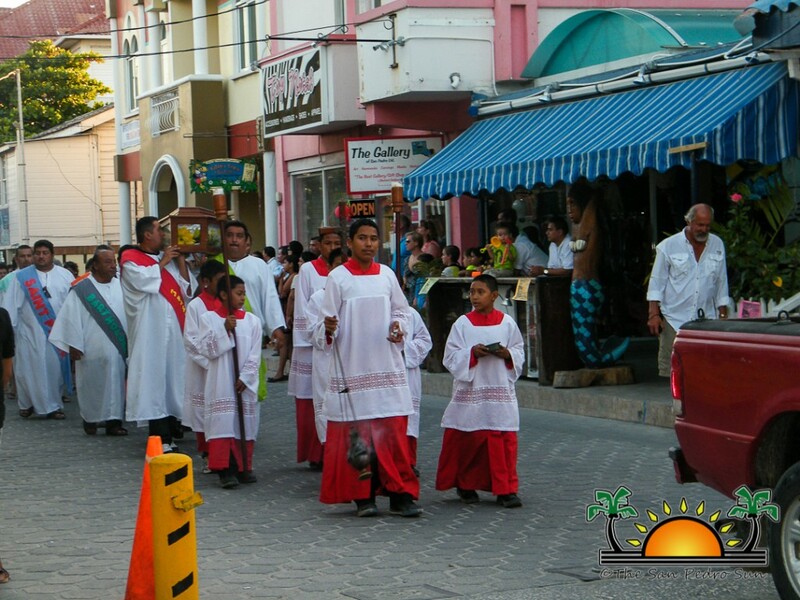 The procession moves through the main streets of San Pedro and it is a solemn walk of reverence. On Holy Saturday the Easter Vigil Mass is held at 7AM. 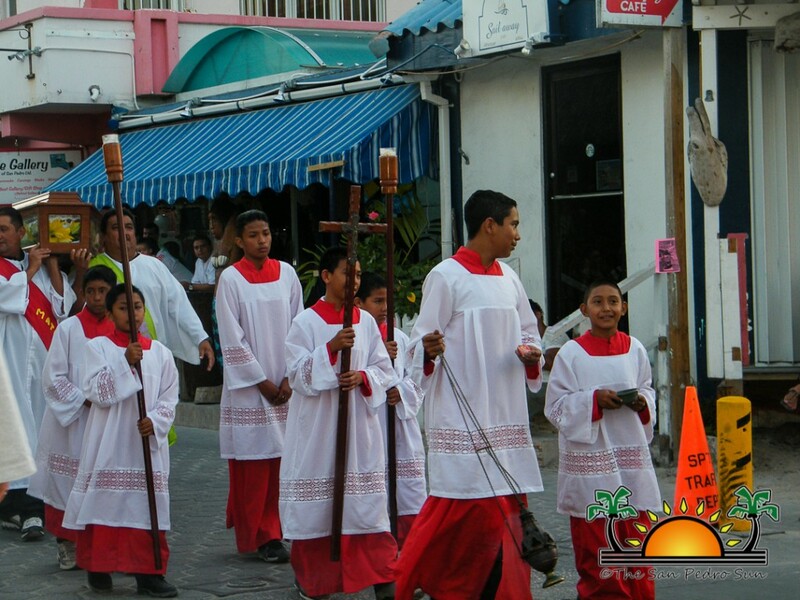 The events continue on Easter Sunday at 7AM with the “Encuentro”, when Catholics rejoice in the resurrection of Jesus Christ. Masses were held in English in the morning at 10AM and in Spanish in the evening at 7PM. The Easter celebrations ended on Easter Monday with a mass at 7AM.